In the first discussion this year on Kosovo in the UN Security Council, the President of Serbia, Tomislav Nikolic has mentioned the establishment of a Kosovo Army. According to the Serbian president, this could destabilize the region. 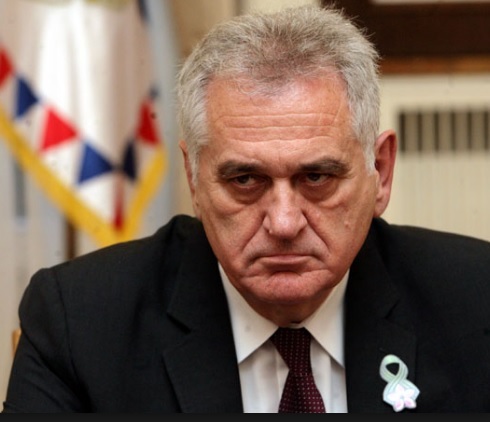 Nikolic has also spoken about the stopping of the Serbian train from the Kosovo authorities. According to him, the Kosovo side has violated the freedom of movement in this case. Serbian President also said that the Kosovo side is not respecting the agreements reached at the talks in Brussels. "We welcome the continuation of the dialogue. We are for the continuation of dialogue and not to support violence and intimidation. Any change would be the threat of the resolute 1244. Serbia has made its own proposals during the dialogue, they were realistic. But such a thing is not done by the other party which has failed to apply the agreements. Serbia is committed towards achieving peace. Stopping the train from the Kosovo side is a violation and a violation of freedom of movement," said Serbian President Tomislav Nikolic.